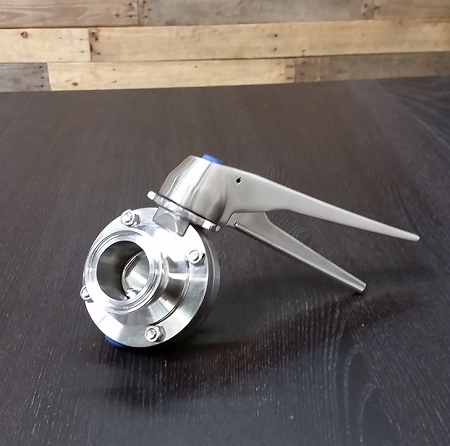 304 SS Handle Trigger Butterfly valve. I use these on my brew system. They work great and are perfect for the brew system. I used the blue ones on my fermenters. They are a lot easier to clean over the ball valves. They are professional grade and will raise any home brew system to that pro grade. 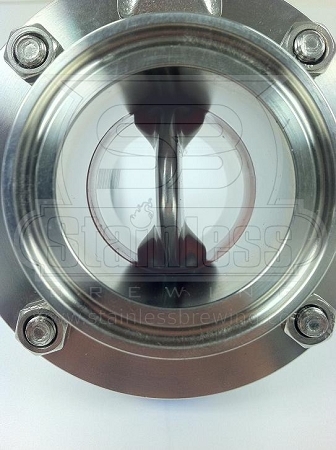 I've ordered a few things now from Stainless Brewing and I must say that customer service and product quality are unsurpassed. This valve was by far the least expensive I found, even less than some of the plastic handled ones. It functions smoothly and the finish is as good as "really expensive" ones I've handled locally. Pretty sure the only difference is profit greed on the other's part. Stainless Brewing has my business for my home brewery.